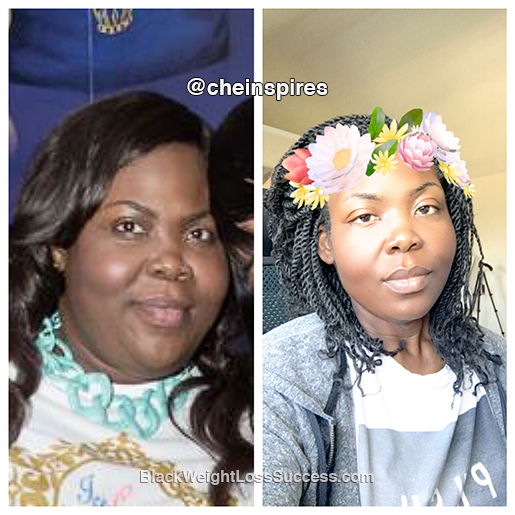 Update March 2018 – Che has lost a total of 160 pounds. 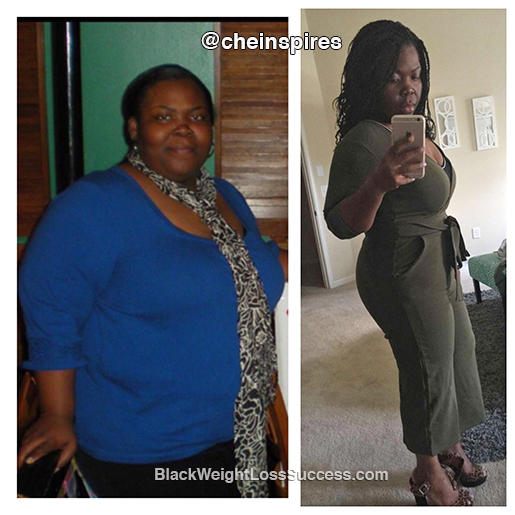 Transformation of the Day: Che lost 127 pounds. 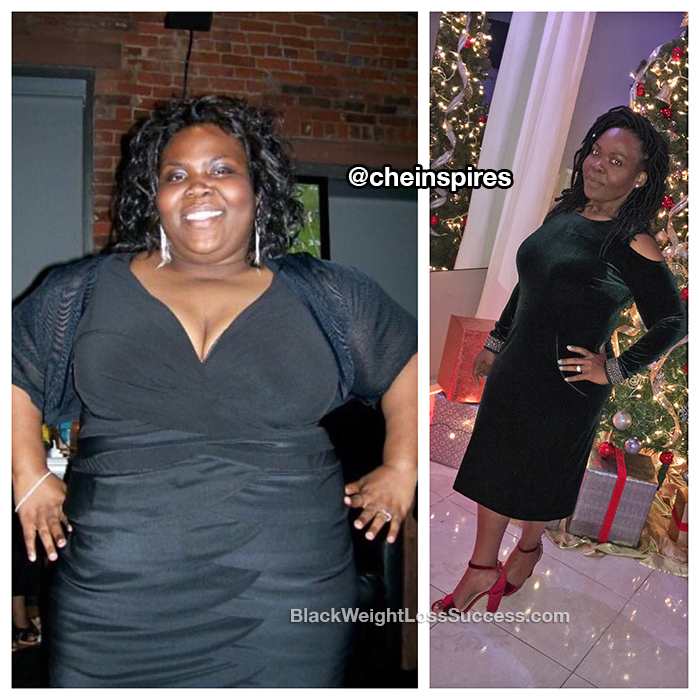 Her whole life, being overweight had been an issue. Depression, stress, emotions and hip/leg pain made her feel miserable. Food was her comfort. This proud mom made the decision to seek not just help with weight loss, but also therapy. Check out her transformation. Weight has been an issue my entire life. I am sure I was at my heaviest weight ever in high school. I suppressed my feelings and emotions with food. Food didn’t judge me, didn’t talk back and loved me, because it made me feel great in that moment but miserable after. 5 years ago, after I gave birth to my daughter at 325 pounds, I was fed up and at the lowest point in my life. Depressed. Stressed. Unloved. Enough was enough. I started therapy. I also started with Nutrisystem and jumpstarted my weight loss. I started working out and bringing my daughter to the gym with me. Spin became my best friend. I stopped making excuses and dedicated my life to being pain free (I had severe hip and leg pain in the past). Doing activities that didn’t involve food with family and friends was key. I slowly began to find the confidence that I had never had before. Fitness, counting calories and adopting a high protein/low carb eating style (with little to no sugar) became a way of life. Food was no longer my crutch. I no longer eat for pleasure, I just want to live! I created a blog to inspire others on this journey and to share my story, www.cheinspires.com. Many people think they can’t change their lives, but if I can, so can you! My advice to you all is first, BELIEVE THAT YOU CAN! Get mental help/therapy. A lot of us overeat because it helps to suppress something that is triggering the need to eat, so don’t be ashamed of that. Last but not least, FALL IN LOVE WITH YOURSELF! I set a goal of reaching 199 pounds and I hit that goal on Aug 6, 2016. That makes 127 pounds lost. Even though it took me 5 years to do it, I did it. Now it’s your turn. “In March 2017, I adopted a pescatarian lifestyle. [vegetarian who eats seafood] I also continue to limit my carb intake. I have protein mainly from seafood (no other meat) and protein shakes. Doing this has helped me get leaner. I am not as bloated anymore. I still work out at least 3 days per week! (Mainly strength training to build muscle). I can honestly say that I do not miss meat. It’s becoming easier and easier everyday. My advice is to understand your body. Focus on what you put in it and move! Find activity in everything! Be patient, do the work and live your best life!” Check out her Facebook group for inspiration. Never forget a #transformationthursday – ME vs. ME! No competition! This is for me! THEY don’t matter! Update Jan 2017 – Che wrote in to share that she’s lost 11 more pounds for a total of 138 pounds gone. Please help me with ideas, motivation, recipes, and a lot of encouragement. You are definitely an inspiration for many. Congratulations!!!! This is the story I needed to read. I know everyone says this is not a race and to move at your pace but when I see someone my height and about my weight lose it in less than a year it kind of discourages me but I keep going!!! Thank you!!!! Great job in your journey! !